Roger Ebert, the way most of us remember him. In recent years his face was disfigured by multiple surgeries for cancer, but he never lost his drive, his wit or his motivation to write about movies. 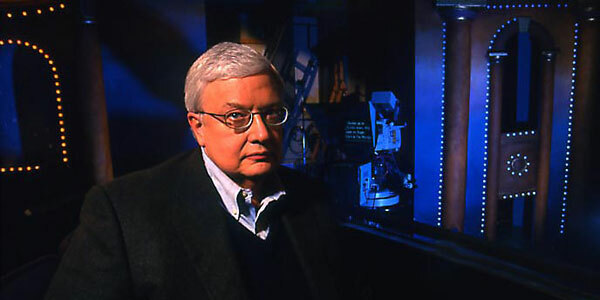 For many of us who grew up in the hinterlands, where we were lucky if the local newspaper carried movie advertising, Roger Ebert and his TV partner Gene Siskel were frequently the first exposure we had to film criticism. Thanks to PBS and their show “Sneak Previews,” it was possible to get the opinions of two erudite, educated men whose joyful duty was to go to the movies, then come back and tell us whether those movies were any good. As a result, this young fellow got to find out about many movies he wouldn’t see until much later, and also grasp the ins and outs of what “film critics” actually did. For these were real people, and they obviously had real (and legitimate) jobs at newspapers. How cool was that? The were the kindly uncles giving us all movie advice, rather than the harsh, cosmopolitans like Pauline Kael, who wrote from on high at the New Yorker (which was not well stocked at small-town Southern newsstands in the late 1970s, as you might imagine). But even if I’d known to look for Kael’s work, I probably would have liked Roger Ebert’s better. He seemed like a kindred soul – the nerdy kid who loved the magic of the darkened theater. Ebert died today at the at of 70, just a day after announcing that he would scale back on his still prodigious level of productivity. Even ailing, he wrote books, blogged regularly and still reviewed movies. He hand-picked the critic team put in to cover for him at the Chicago Sun Times, his home newspaper. He was in the midst of preparing to host his own film festival. That is a hell of a way to go. All of us who have ventured into film (or music or theater) criticism since watching “Sneak Previews” and its various later incarnations owe Mr. Ebert a great debt, as he influenced all of us in one way or another – sometimes just by proving that there were successful people who actually did it.